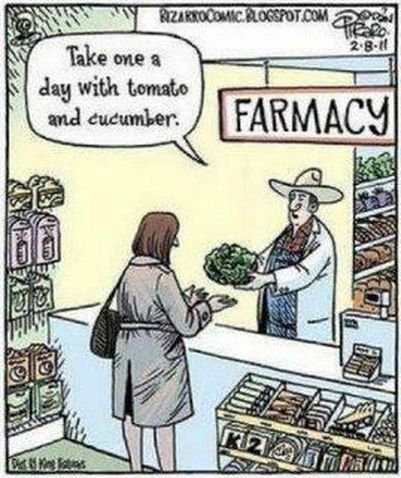 that effective medicine can only come from “taking a pill to fix your ills”. and deciding which pill you should take. averaging out at four prescriptions per child. Among seniors, drug use is beyond epidemic, averaging out at a staggering 28 prescriptions per person. The facts simply do not support the idea that massive drug use equates to improved health. On the contrary, we're seeing massive increases in chronic illnesses. and Plavix is just one of many examples. Then ask Dr again if you need to stay on the drugs. 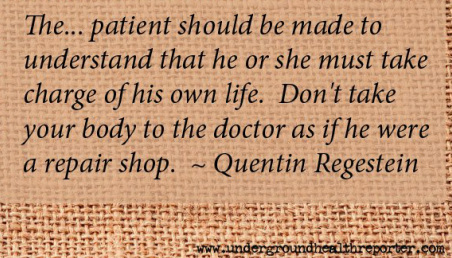 If possible find a Dr who will work through diet and support your journey to health. You have forgotten what it feels like to be well. and pain relief etc etc. and God showed me how to eradicate MS and arthritis through changing my diet. which a Dr may subscribe more drugs for. 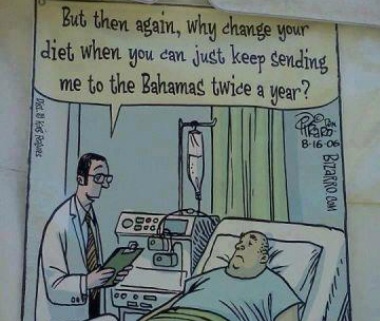 We can change what we eat and note a huge difference in health. and patiently working through sugar and wheat addiction. and know how to detox carefully, then PH balance will be achieved. 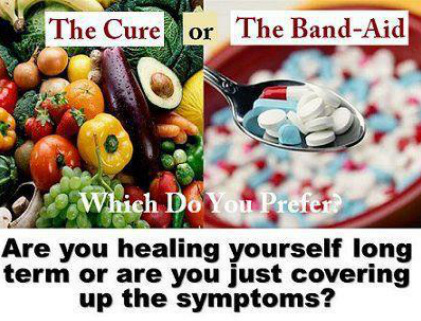 The body will heal given the right nutrients, probiotics and time. or for aged care etc. do we know what is in the drugs, do we know what damage they are causing inside us, how do we know where it goes? NO deaths were attributable to vitamin and mineral supplements that year. but startling new research shows just the opposite. If you or someone you love has experienced some of the dangers of chemotherapy, you know all too well its grueling, debilitating, and potentially permanent side effects. 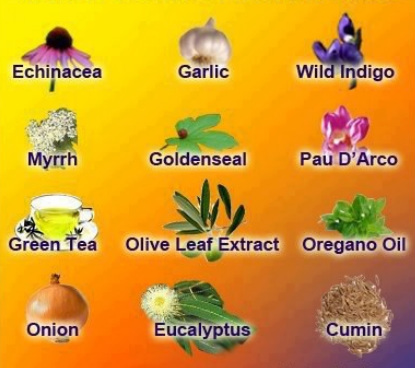 Discover alternative cancer therapies to chemotherapy. To access all the research studies, medical reports, and real-life success stories on the top 10 natural cancer cures, now conveniently compiled in a special report. but what if there was a way to help relieve the stress, would you take that way? Certainly not before researching all your options and having all the facts, right?! and his leg muscles weakened badly, his new Dr told him to stop taking them and alter his diet instead. eg consider eating no bought baked goods and margarine. PLUS-Do research to understand good and bad cholesterol- we need cholesterol. WE HAVE ALL BEEN LED TO to believe that cholesterol is bad and that lowering it is good. - we think that using statin drugs is proven to work to lower the risk of heart attacks and death. But on what scientific evidence is this based, what does that evidence really show? We know what causes the damaging small cholesterol particles. And it isn’t fat in the diet. is because they again recently admitted that long term use of statins can cause memory loss. This is not surprising because in order for the nerve cells in the brain and peripheral nervous system to communicate with each other, they need cholesterol. We need cholesterol for proper brain function." "... the availability of cholesterol is responsible for the ability of nerve cells to communicate with each other. This happens in the brain and in the peripheral nervous system. so many “older” people are being diagnosed with dementia or Alzheimer’s. Isn’t it curious that at the same time the use of cholesterol lowering drugs has increased?" should ever be given Lipitor or any other statin drug for elevated cholesterol. in women and women should be told so". In other words, statin drugs don’t work for women. No female should ever take a statin drug to lower cholesterol for primary prevention of heart disease. They don’t work for women. do not live any longer than women who don’t take the drug. There is no benefit in terms of prolonging your life for women."